The kitten (Milo) we bought from Lesley is an absolute delight. In addition to being beautiful, friendly and gentle, he immediately settled into our family and is a joy to have. Lesley offers a first class support service, advising on all the things you need to make having a kitten easier than anyone can imagine. In addition, Lesley always wants your to see the kitten with its parents and other cats before you buy it; a visit which is itself memorable because the adult cats are all stunning. We have had Mitzi and Maisie for a month now and they have been an absolute joy. Life will never be the same again! 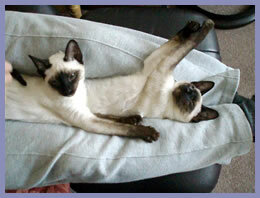 They are everythingwe wanted in kittens – they are so beautiful, confident and full of life. 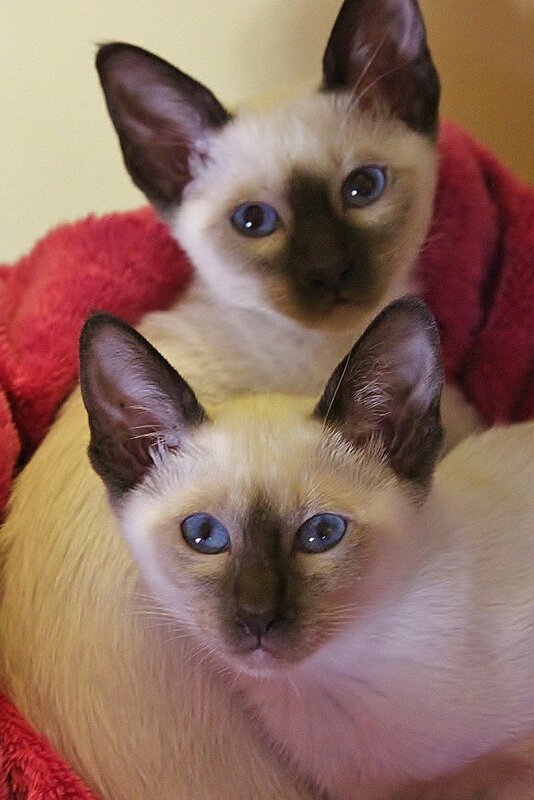 They are content, friendly, talkative and affectionate one minute and full of mischief and mayhem the next – zooming around the house at high speed for no apparent reason and exploring all the places you would not expect a kitten to reach! We are so pleased that we decided to have the two, as they are obviously a great comfort for each other. They get such pleasure from chasing and playing together and it is lovely to watch them enjoy each other’s company. Thank you Lesley for all the time, care and expertise that you have obviously given to these adorable kittens. The process of getting them could not have been easier. It was great to be able to talk to you on the phone for regular updates on their progress, for advice and thank you for all the precious photos you sent of their early weeks. You do a wonderful job and we count ourselves very lucky to have found a breeder like you. we are off to Norfolk and Lincolnshire with him – he travels so well and is endlessly curious about his surroundings. 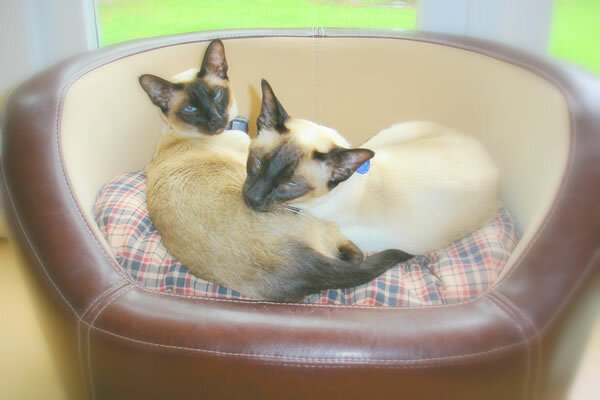 Thank you Lesley for 2 such lovely cats, Ollie and Lillie. To say they are part of the family is an understatement. They both have wonderful temperaments and are very intelligent. Whenever we have visitors to the house, they comment not only on how beautiful they are but also how friendly and content they are. My young son (9) adores them and tends to pick them up to hug them – they love it and just lay in his arms like a baby! Yes, I would be pleased for you to use the photo. That is my youngest Abyssinian, Alfie, in the photo. I have another one called Arnie who is 15 years old now & is also lovely to the kittens, cleaning their faces and bottoms!! Oscar & Rosie absolutely adore Alfie. He is young and full of energy and they all run around like maniacs. 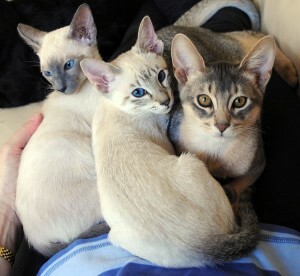 It really is a pleasure to see, especially when they all curl up together purring. Coco has settled down wonderfully well. She is so well socialised and confident, and has clearly spent time with people who care about her. We can’t believe that we have only had her just over a week, she has made herself so at home. She is lively and curious, and is very happy with her new surroundings. She was a bit worried about Jambo (he is a bit big!) for the first few days, and hissed at him whenever he came near her. He seemed completely bemused by this. They now chase and play together, and even eat from the same dish. She is already one of the family, and we couldn’t be more happy with her. Akina has been with us now for a year now, in which time she has more or less taken over the house. She is delightful and we are thrilled with her. She is very beautiful and greatly admired, affectionate and great company. Always ready to have her say in no uncertain terms. Since the spring she has been allowed out under control and we have had to have a cat flap fitted because she likes to think that she can go in and out when she chooses (she can’t). She and Jasper have a very good relationship, although not to the extent of sharing a bed. She is inclined to be rougher with him than he with her. All in all a very satisfactory new family member. I would like to say that Keaira is a wonderful companion with the sweetest nature. She is a wonderful pet and very affectionate, she rarely leaves my side when I am at home. I have had a bad cold the last few days and she has been very concerned for me. She has been putting her paw out to touch me on the arm and has even given me licks on the nose, maybe she is concerned that I keep blowing it! The twins are doing fine and are enchanting, naughty and so beautiful. We were so impressed with your home and the way the cats were housed. Impeccably clean and all the cats were so happy. Jai and Rani have managed to get out a few times but I will keep them in for a while yet. Their collars are a little big and keep falling off. Jai (male), is very vocal and talks non stop, especially when food is being prepared. Rani is much more controlled and so gentle. 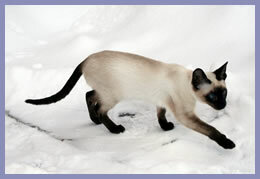 But is the best at catching the odd mouse that dares venture into the house. Abby & Kate have been with us now for just over five weeks and are the delight of myself and my family. 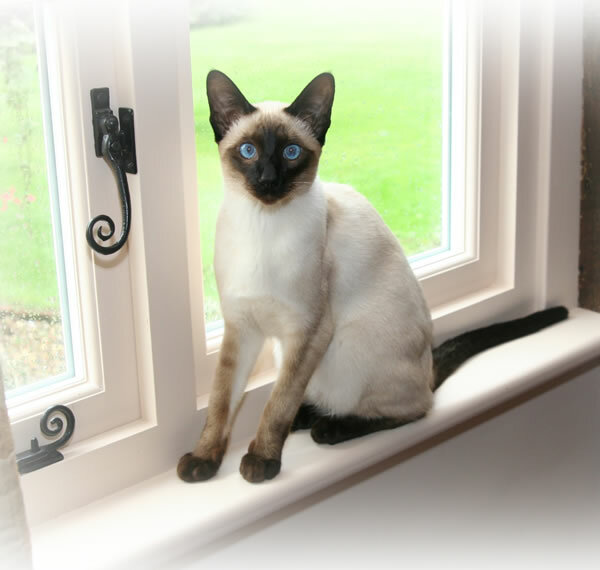 From the very first day they have settled with us beautifully and are very affectionate talkative bundles of fun. They are infinitely interested in every aspect of our daily life and It was obvious from the start that all at Lintama are extra special. We count ourselves truly blessed to have had the opportunity to give a home to two very special babes. Thank you for giving me my special boy Tommy. 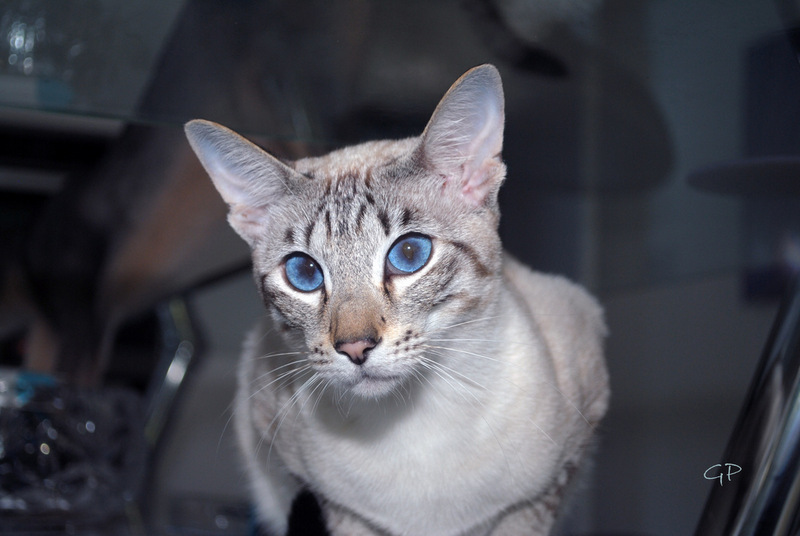 He is very beautiful, well socialised and very affectionate , always purring and always curious about everything. My whole family adores him! 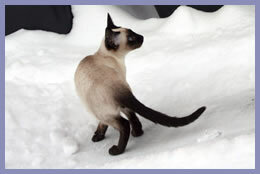 Because of his perfect pedigree he will also be a great enrichment for my Traditional Siamese Cattery here in Germany. Taisie is getting on well with Revels and they spend a lot of time together. She has developed magpie tendencies and I discovered yesterday her stash of stolen items behind our sofa bed in the spare room! She is really lovely and everyone comments on how confident and affectionate she is, I am enjoying having her around so much, she is so brave and loving, however I wasn’t allowed to move last night as she decided to sleep on my stomach all night. We are so pleased with her and couldn’t imagine our home without her. Thank you for letting us have such a wonderful little personality. Thank you so much for Tai-Yu and Kahlua. They are the most beautiful / friendly / affectionate and contented kittens going, and have settled in really well in their new home and with their “big sister” Mica. She even lets them share her bed now! They are interested in everything and it is difficult to go anywhere without one then the other following and being nosey !! They have different characters but get on so so well, and it is nice to have the combination of these 2 beautiful little darlings in the house. Their latest game is to play “fetch” Tai-Yu fetches and brings back bows when they are thrown for her and Kahlua does same with soft balls – this tires them and me out, and is very entertaining to watch !! So in summary they are a wonderful addition to our household. From Stella Guest of North Shoebury, Essex. Hope you are all fine! Just wanted to send you a quick e-mail to let you know how Yoshimo – or Chang Junior as we have decided to call him, is doing. I told you that Mark fell in love with your Chang!!! 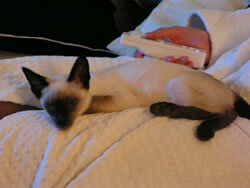 He is currently asleep on my lap – he must be the cuddliest cat I have ever met – he wants to be carried constantly! And loves sitting on our shoulders! He gets very annoyed with visitors if they don’t turn all their attention to him and lift him up as soon as they walk through the door. He is absolutely lovely and very curious. He has decided that he wants to sleep snuggled up under Mark’s arm under the duvet at night – we now have to shut the door because Mark can’t sleep with him there and Chang is so stubborn! I have bought him a bed for the radiator, a heat pad and a cosy blanket but he still prefers to be under our duvet! Everybody that meets him are completely charmed within minutes. He always join in when the girls have friends around and tries to steel their toys! The other day he had his first shower after jumping up in the oven dish where we had had roasted potatoes. He was sitting there licking the dish clean from the spices and he was covered in olive oil! We have so much fun with him and couldn’t have asked for a lovelier cat! 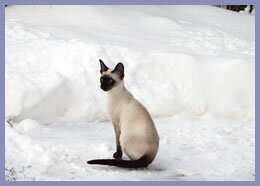 He is a typical Siamese and friends are quite surprised by how sociable he is.